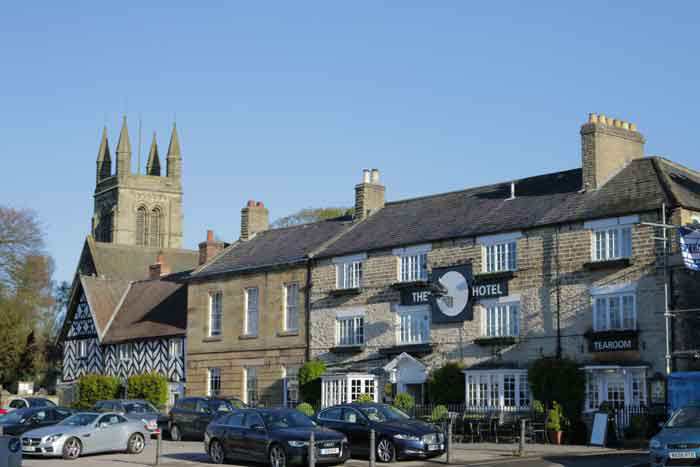 Helmsley is the only market town in the North York Moors National Park and with its cobbled streets, boutique shops and wide choice of cafes, bars and restaurants it is deservedly a popular destination for anyone visiting North Yorkshire. There’s a rather fine market square, a selection of fine Georgian townhouses, a pretty walled garden and even a historic castle to admire. It’s no wonder it was named ‘Best Market Town’ in the 2015 British High Street Awards! Afternoon Tea is something of a British institution. After all what could be more elegant than sipping tea from dainty cups while enjoying delicate finger sandwiches and perfectly created miniature cakes? Afternoon Tea at The Black Swan Hotel is a lovely way to spend time catching up with friends and more of an experience than a meal. 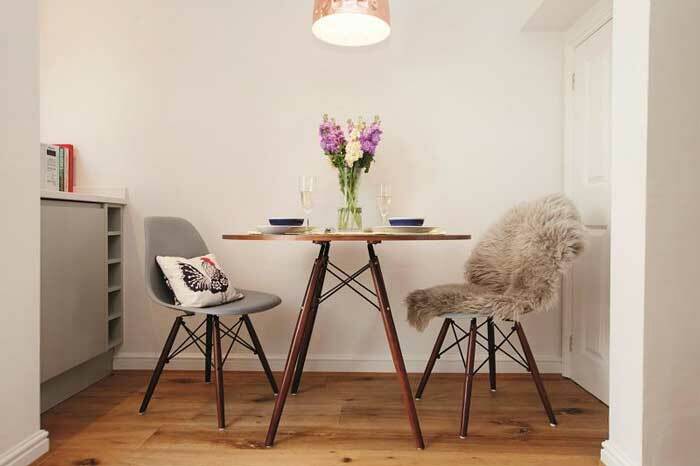 Think pristine white tablecloths, warm wooden floors, creamy oak panelling and a fabulous patisserie – you can even add a glass of champagne if you want to push the boat out. The menu changes regularly to take advantage of the best seasonal produce and is all freshly created in-house by the team of talented chefs. The building itself is also very impressive and originally dates back over 500 years. Today it comprises of three separate ‘houses’ – striking black and white on the left, original Georgian architecture in the middle and a later Elizabethan house on the right. They combine together to give The Black Swan plenty of character and charm. 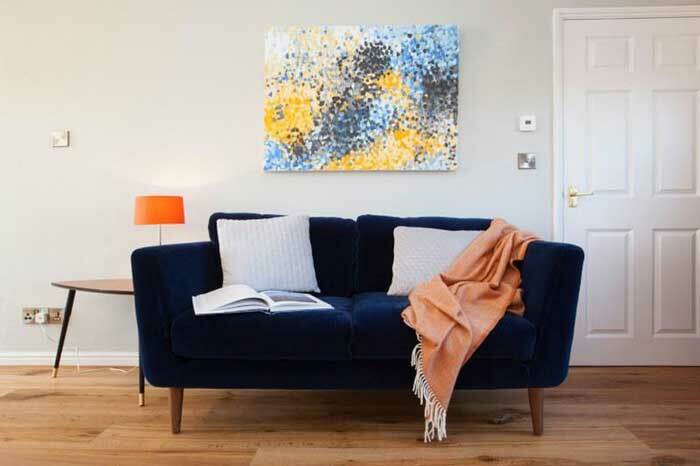 Helmsley has a wide selection of shops ranging from Browns Department Store (with everything from ladies’ fashions and homeware) to gift and homeware shops like The Snooty Fox, Duncombe Park Shop and White Rose Gifts. I always seem to find something I simply can’t live without. There are also antiques dealers, fashion boutiques, and jewellers so the best thing to do is wander round and have a browse. We have become a bit of a nation of foodies and Yorkshire is home to a whole raft of artisan food suppliers and top notch produce. If you want to purchase some local items to enjoy at home, Hunters of Helmsley is an award-winning delicatessen which sources at least 70% of their products from Yorkshire. Downstairs you’ll find bacon, sausage, meats, cheeses, pies and cakes while upstairs there is a raft of different teas along with Puckett’s Pickles and Hunters own range of preserves. There’s also an excellent wine shop in town that sells a range of spirits (including various Yorkshire gins) and you can even try some samples before you buy. If you can’t resist fish and chips (and why would you want to?) you can get excellent ones to takeaway and eat from the paper at Scotts of Helmsley. 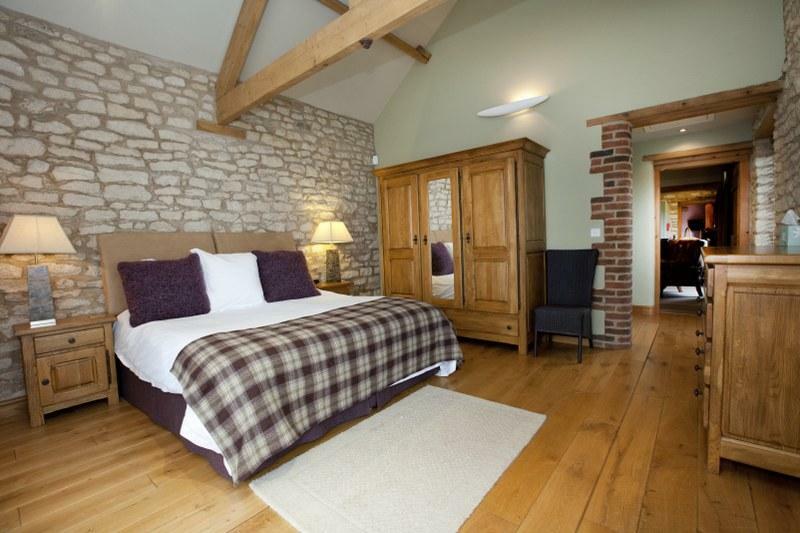 You can wash them down with a craft beer (or two) at the Helmsley Brewing Co. Their beers (with fab names like Helmsley Honey and Howardian Gold) are created in their on-site micro-brewery and served in a cosy little bar. You can take a tour of the brewery to see how they are made or simply enjoy a beer and a good old chat. Mannion and Co is a great choice for lunch and their bistro style menu includes charcuterie boards and cheese slates. You can even order champagne by the glass. For something a bit more gourmet, head to nearby The Feversham Arms where their summertime lunches can be served al fresco in their pop-up restaurant 100 Days in Provence. Venture just outside of Helmsley and there is a Michelin star restaurant (The Star at Harome) and the excellent Hare Inn at Scawton which has a fantastic tasting menu. You can’t help but admire the Georgian architecture in Helmsley and the town also includes the remains of a medieval castle, one of the finest Cistercian monasteries in the country and an 18th century walled garden! 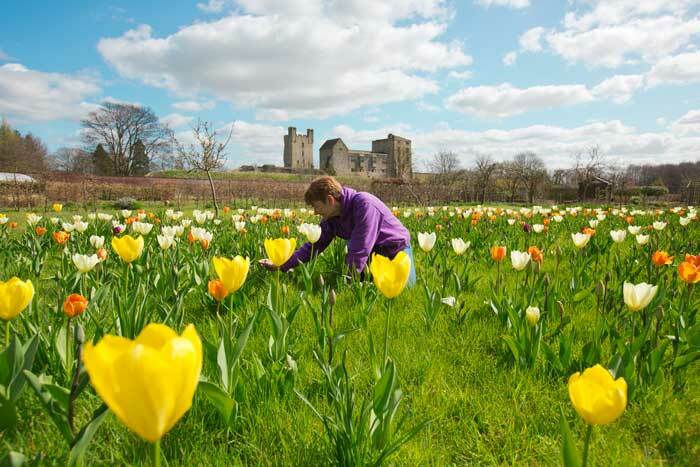 Helmsley Walled Garden comprises of five beautiful acres of flowers and plants. Specific areas of the garden include The vine House with around 34 varieties of Victorian Vine and the hot border which is a blaze of colours in the summer months. You can see the impressive Helmsley Castle from the walled garden, and the remains of this Medieval fortress date back around 900 years. The varied history of the castle also includes a Tudor mansion and today this building hosts a hands-on exhibition where you can see original finds and how the castle has evolved over time. Rievaulx Abbey is just 1.9 miles from the castle and you can follow in the footsteps of the Cistercian monks on a picturesque woodland walk between the two English Heritage sites. There’s a nice tearoom when you arrive so you can treat yourself to a coffee and cake before viewing the impressive remains of the monastery from a new visitor centre. There’s nothing like a day at the spa to rejuvenate even the weariest of souls and fortunately Helmsley has a really good one at the Verbena Spa (located in the Feversham Arms Hotel). 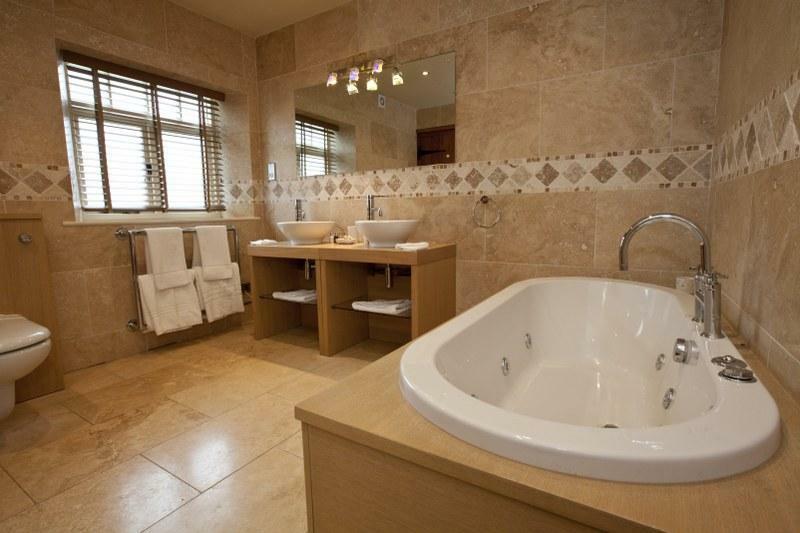 The high quality facilities include an outdoor heated pool and indulgent hot tub jacuzzi. 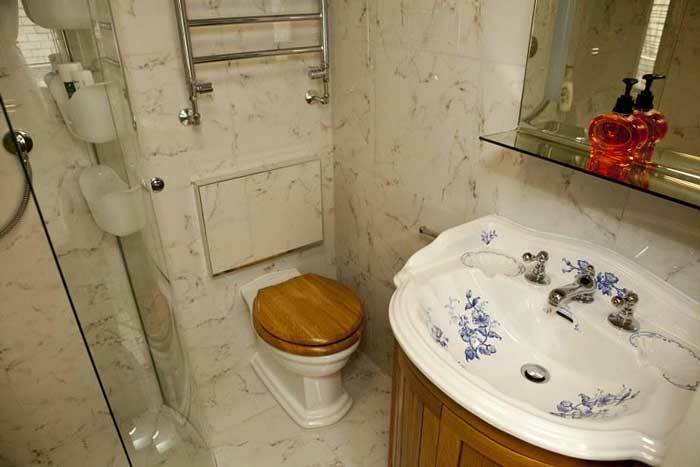 There’s also an aromatherapy room, steam room, saunarium and full range of treatments to help melt your aches away. 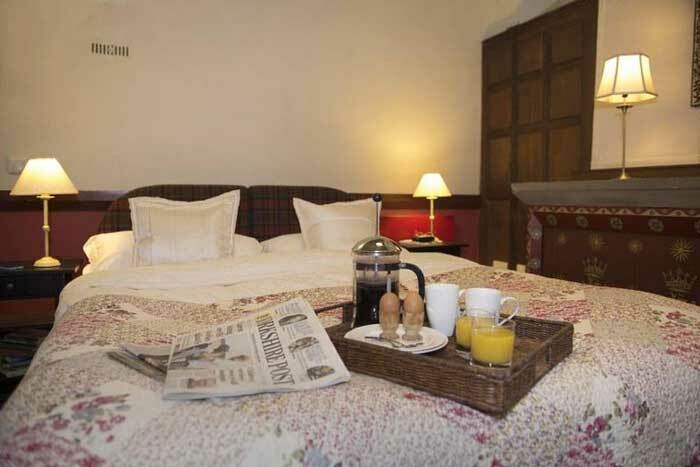 Helmsley has a fabulous location in the North York Moors National Park with stunning walking and cycle routes on your doorstep. 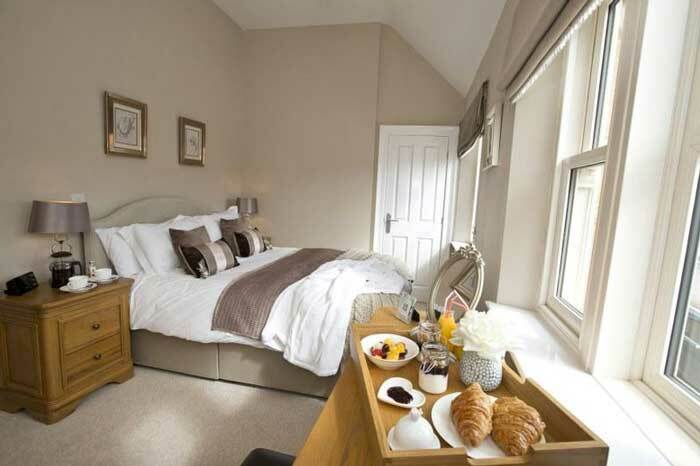 It’s surrounded by pretty villages like Hutton-le-Hole and Thornton-le-Dale which are both well worth a visit and York is just 30 minutes away. 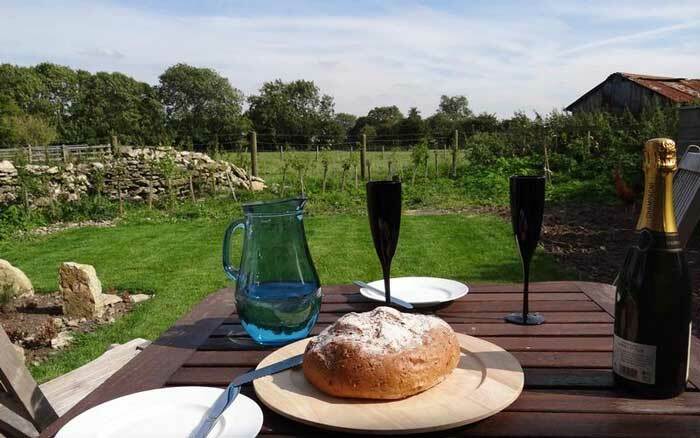 Gorgeous Cottages have a range of self-catering properties in and around Helmsley, whether you fancy staying for a few days or spending the whole week there. 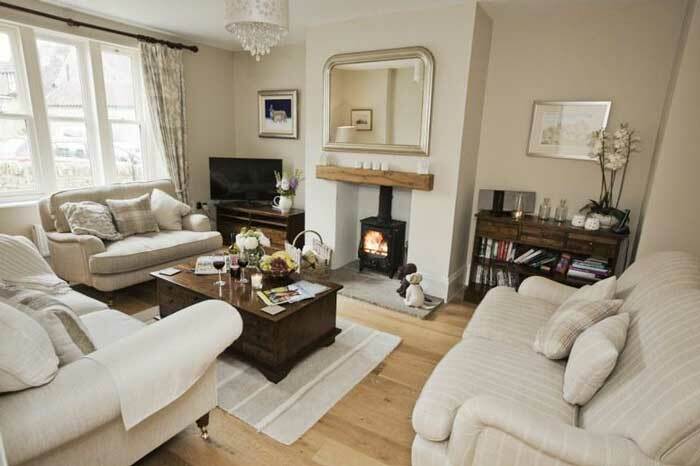 Welcome to Rose Cottage, a contemporary elegant townhouse tucked away behind the market square in Helmsley. The handsome exterior of Rose Cottage. 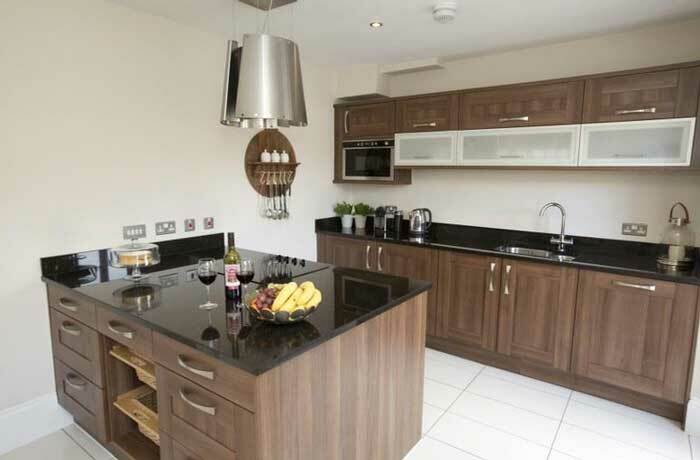 The gorgeous kitchen with its striking dark units and sleek granite worktop. 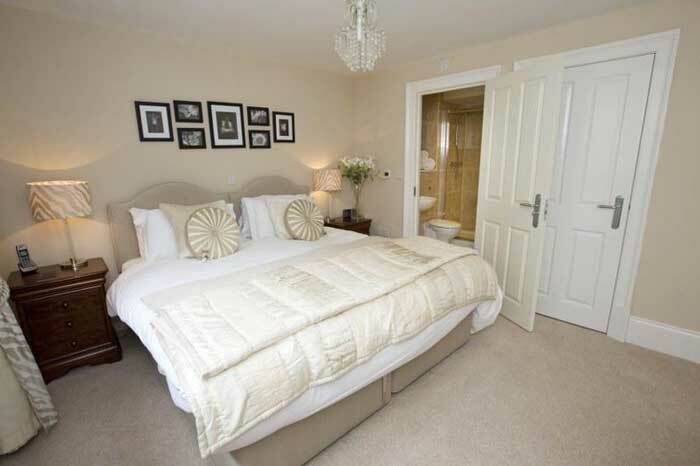 The first of the 3 bedrooms, a generous room with a super-king size bed. A beautiful bright room with light from two windows. 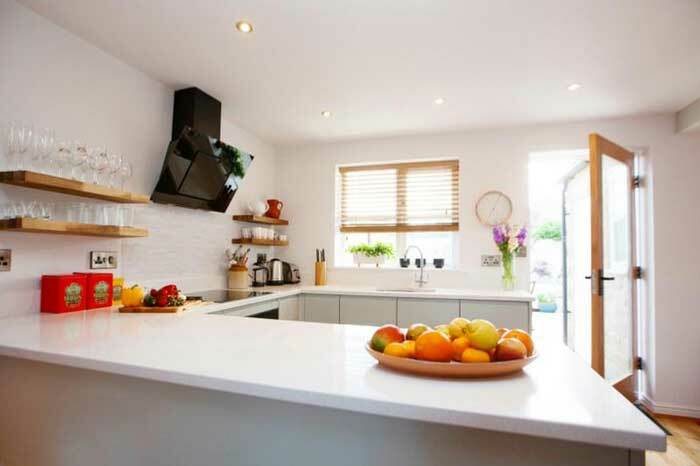 This stunning three bedroom / three bathroom townhouse is tucked just behind the market square and is great choice for families and groups of friends. 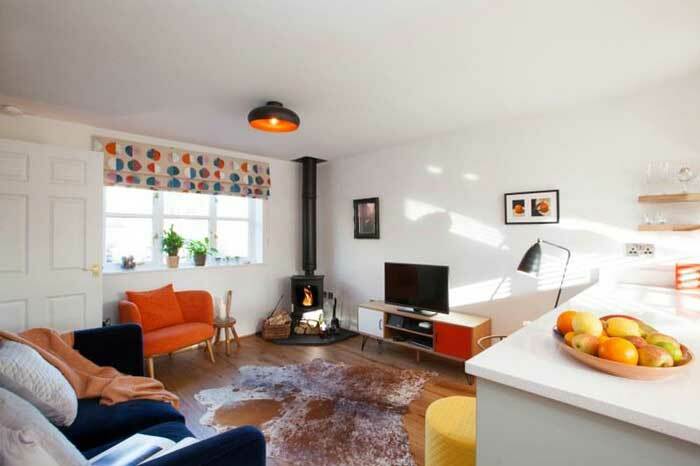 There’s plenty of space to stretch out with an open plan kitchen diner and elegant living room with cosy wood-burner. 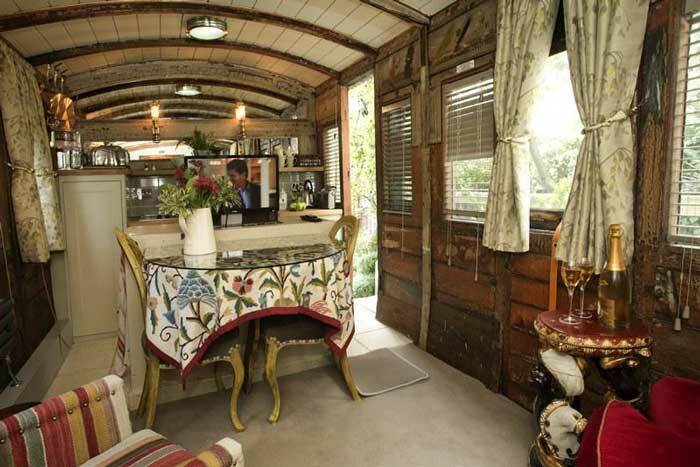 There’s even a separate snug if you want to escape on your own. 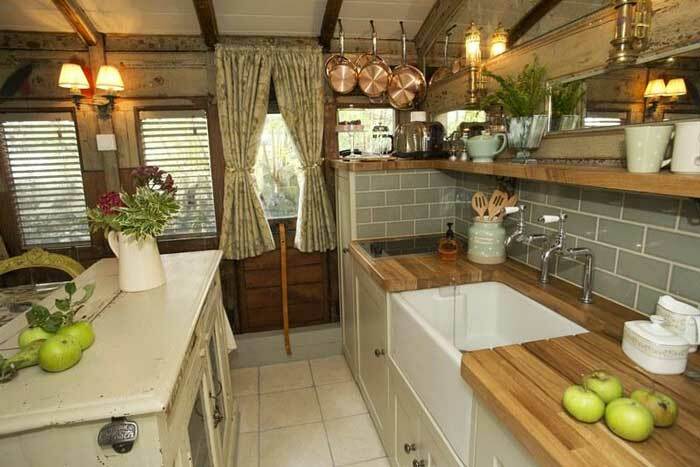 The gorgeous open plan layout of this refurbished railway carriage. Pour yourself a glass of bubbly and enjoy! 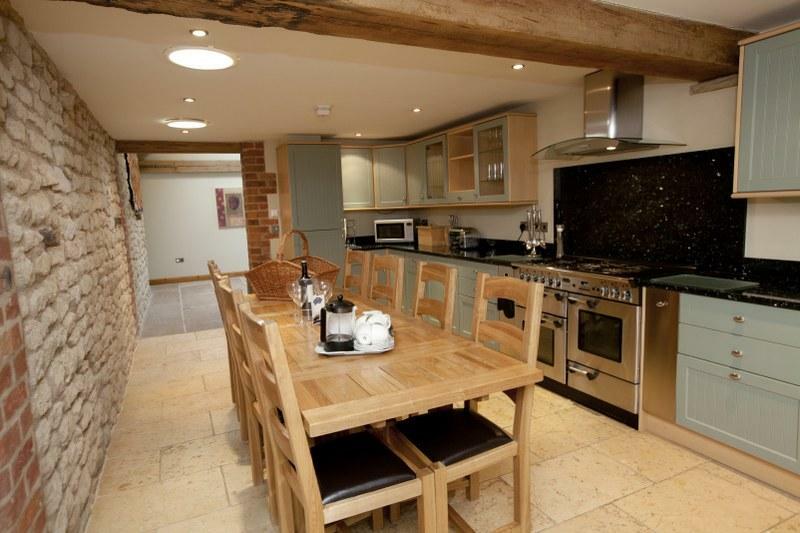 The bespoke kitchen has everything you need to prepare a meal and use of the owner's AGA is also available. 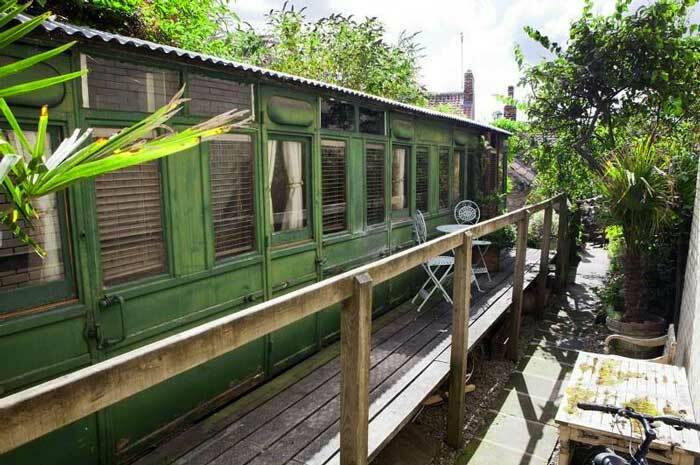 A former Victorian railway carriage has been transformed into a romantic and luxurious holiday home. 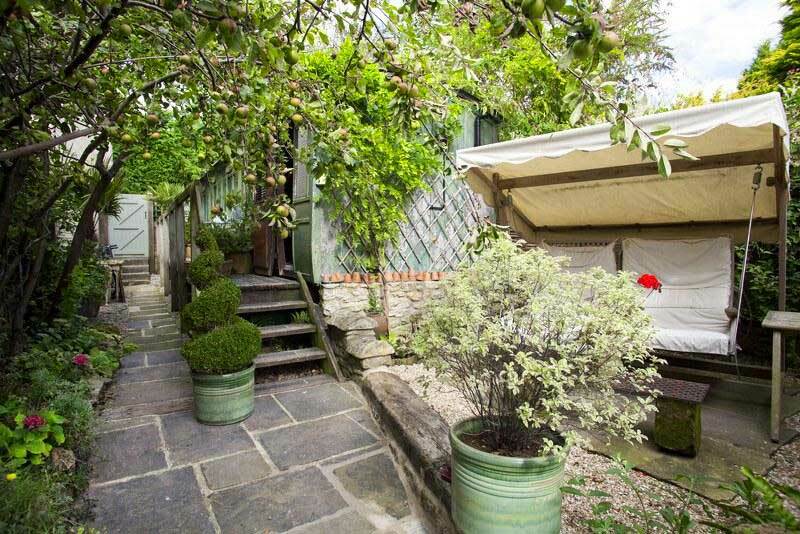 There is a pretty garden (complete with garden swing) to enjoy in the summer months and the owner will even cook your breakfast for you! 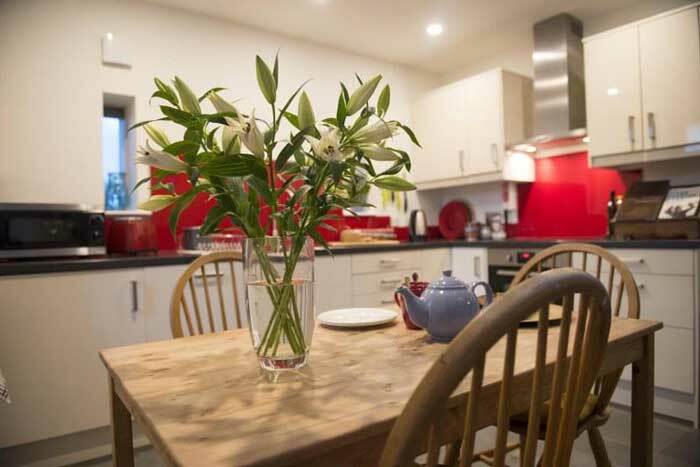 St Aidans contemporary kitchen is the ideal place to sit and eat a hearty breakfast which will set you up for your day of site seeing in Yorkshire. 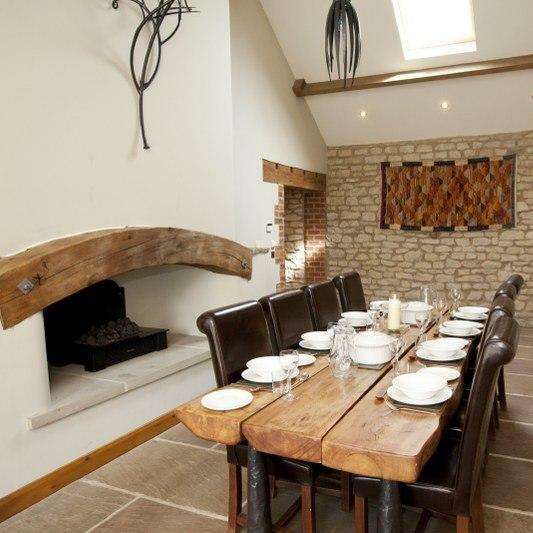 Welcome to St Aidans, a holiday home with serious wow factor! The magnificent stained glass windows. 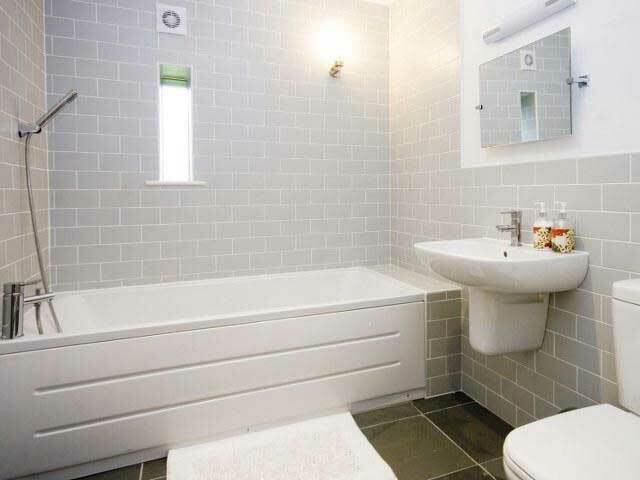 St Aidans bathroom with bath and overhead shower, a refreshing start to the day. The perfect place to eat Al Fresco. 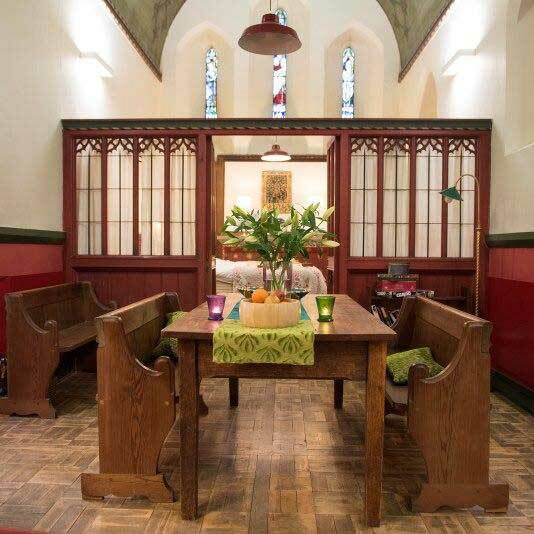 Another holiday home with a difference, St Aidans is a converted church that’s located just a few miles from Helmsley in the little hamlet of Carlton. 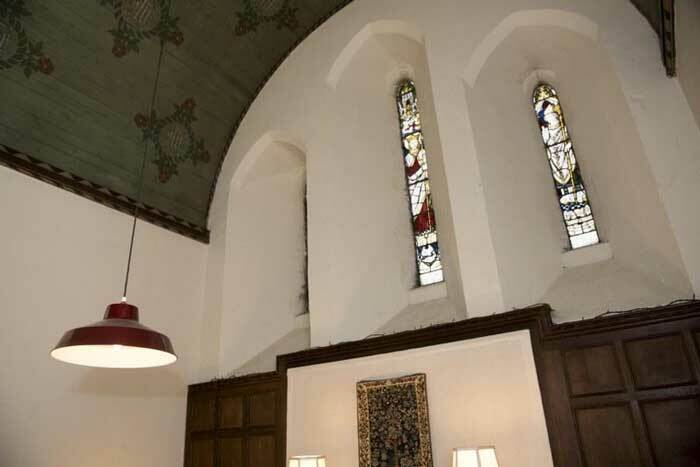 Original features from the original 19th century building include stained glass windows and hand painted ceiling arches while acontemporary extension houses the modern kitchen diner. The Hay Barn. 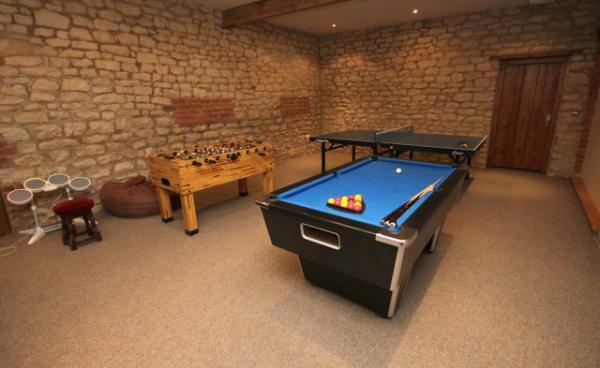 Challenge each other to pool, table tennis, table football or the Wii in the large games room. 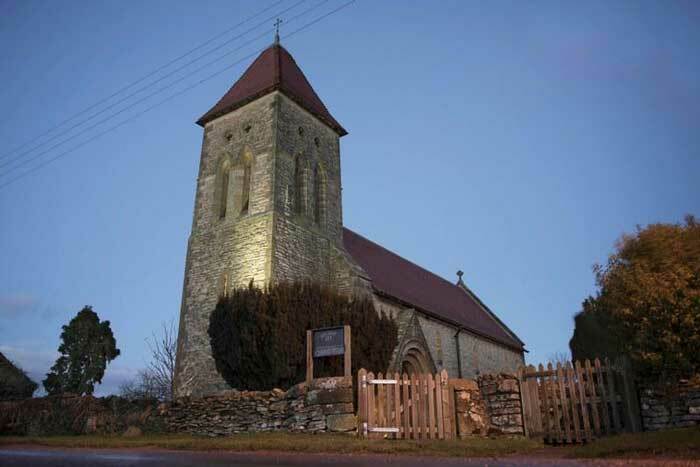 St Aidans. 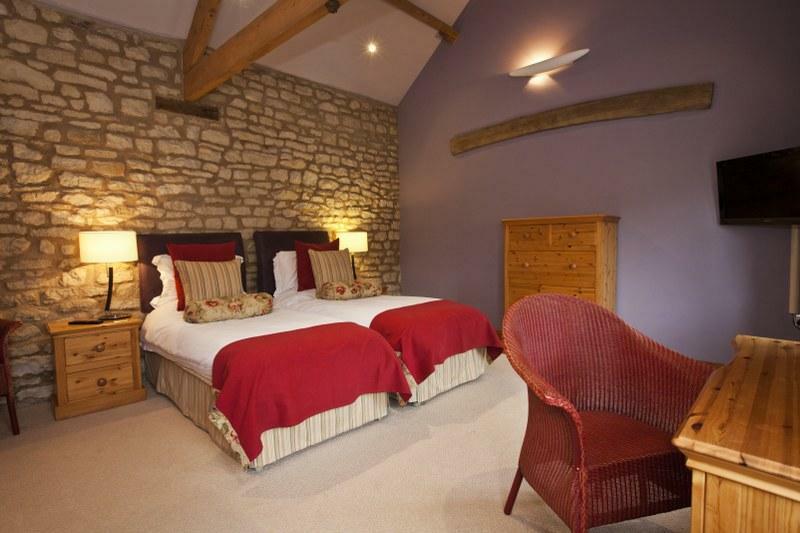 Both bedrooms in The Stables can be king size doubles or twin rooms, perfect if you are travelling with children. The Stables. 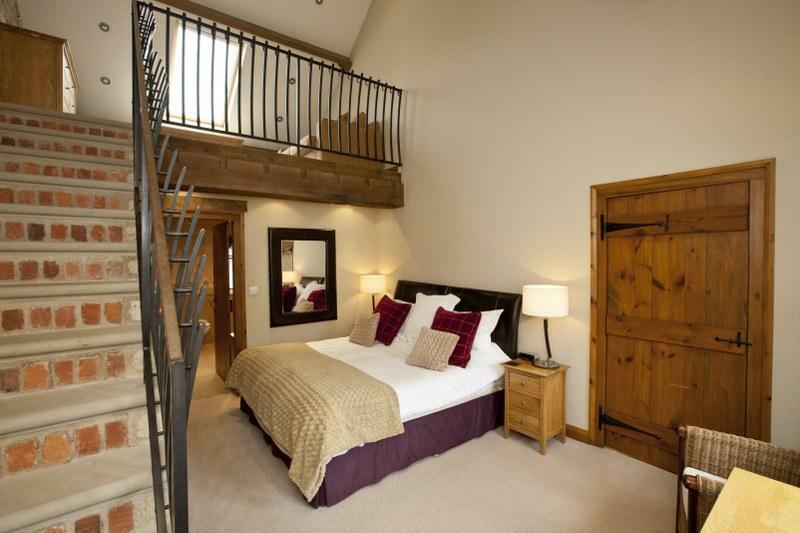 The bedrooms in The Stables are huge - lots of space to enjoy and both bedrooms are en suite. The Stables. 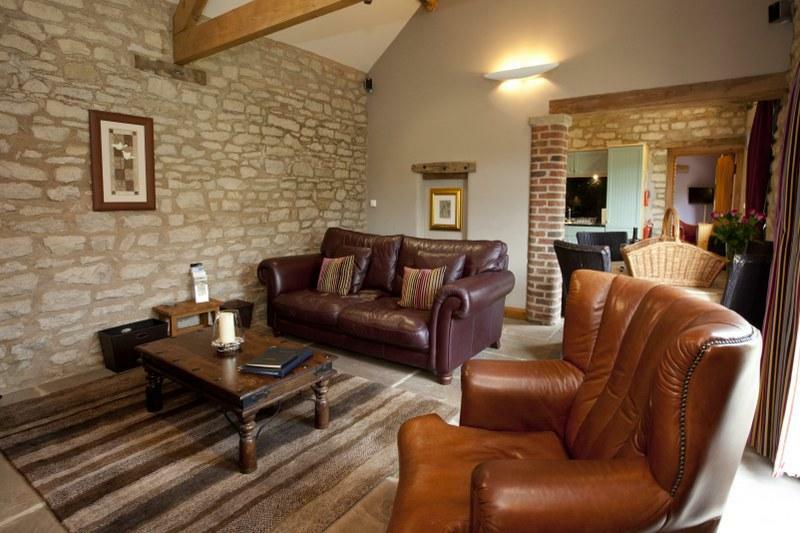 The sitting room in The Stables luxury holiday cottage has a classic, stylish look. A lovely space to relax in each evening. The Stables. 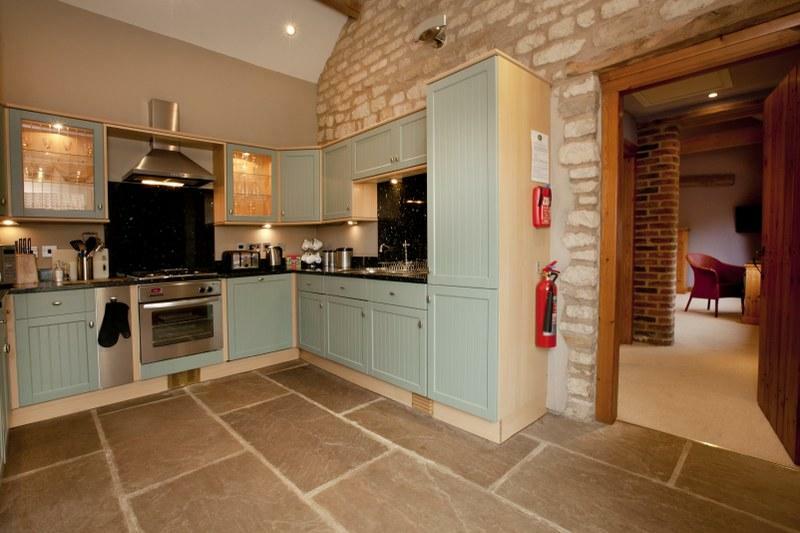 Cook up a storm in the delightful kitchen in The Stables, complete with flag-stone flooring through-out. The Stables. Light up the wood burner and settle down for the evening with a large glass of something good. 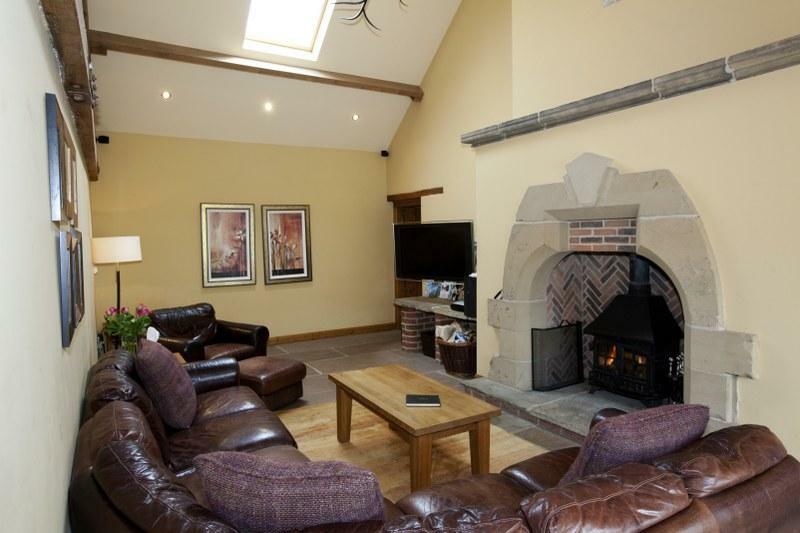 The Hay Barn (sleeping eight) and The Stables (sleeping four) have a peaceful location in the Howardian Hills about 15 minutes from Helmsley and can be booked together to accommodate larger group. 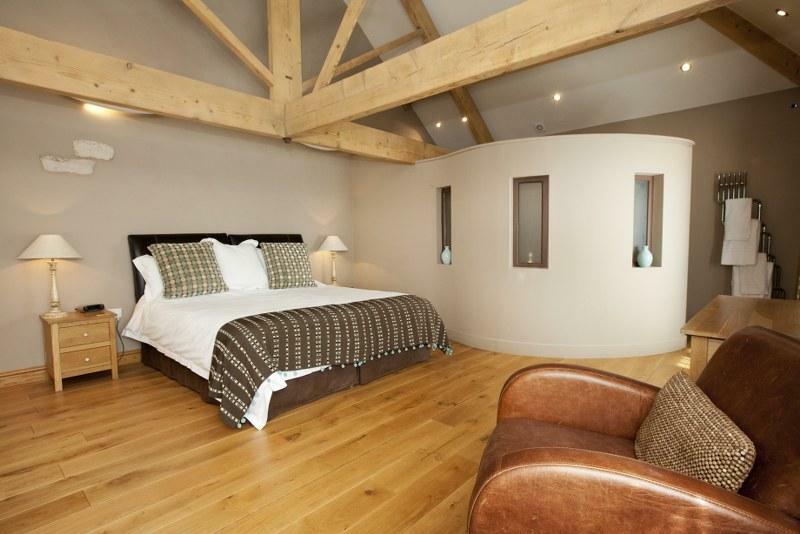 The properties come with private hot tubs and a fabulous leisure suite which includes mini-gym, sauna and a fullystocked games room. 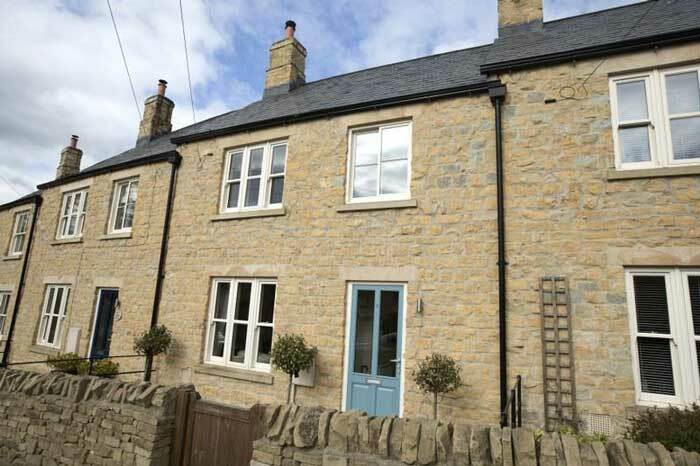 Coco will be the latest property to join our growing collection of Gorgeous Cottages in and around Helmsley. 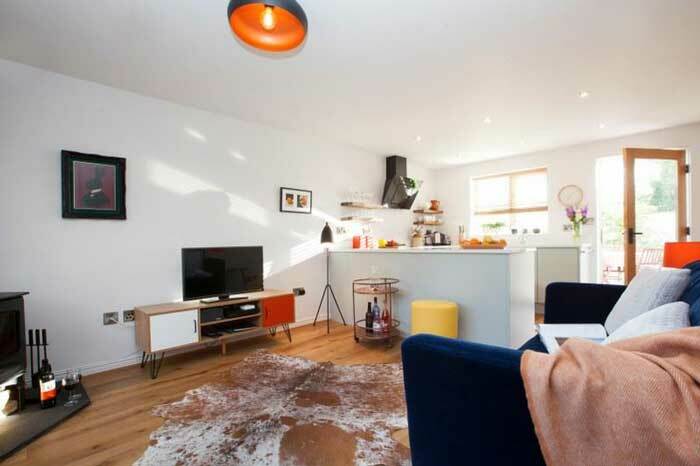 This contemporary two bedroom bijou retreat is set just a short stroll to the market square and offers stylish sophisticated accommodation for the discerning traveller. 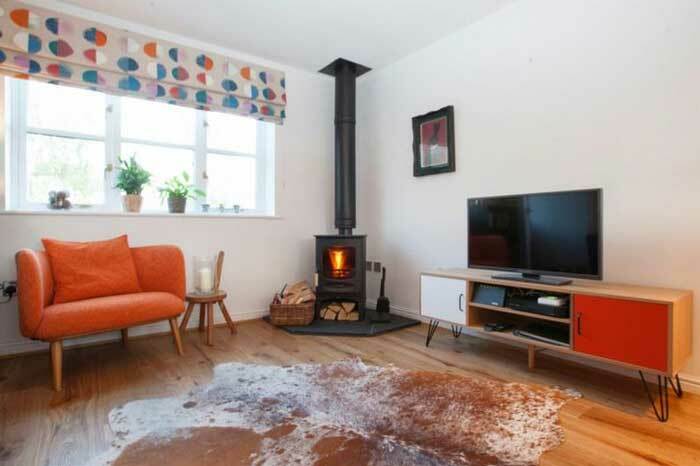 There’s lots to love about this charming property including a beautiful enclosed garden, cosy wood-burning stove and luxurious wet-room bathroom. 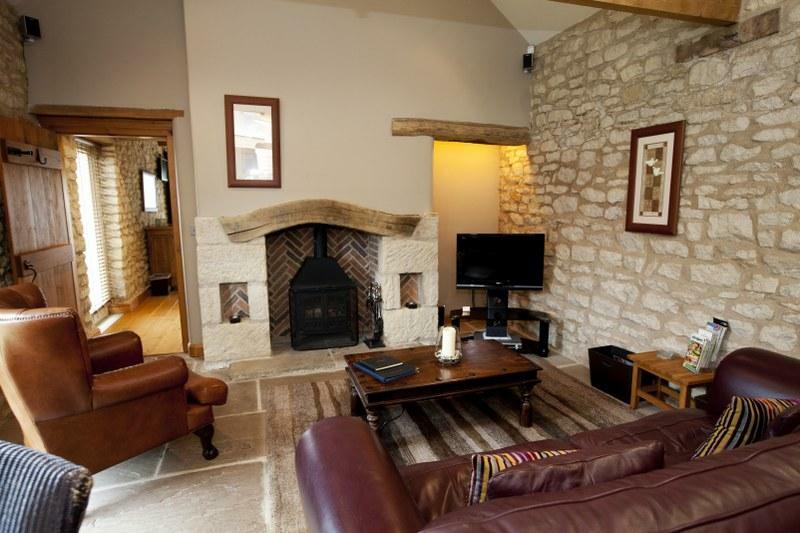 Find out more information at gorgeouscottages.com or call 01642 263 249.